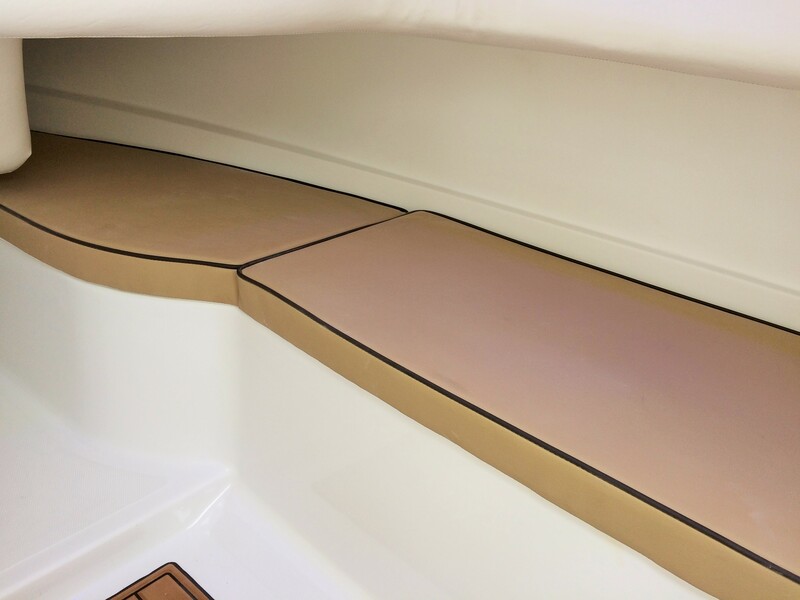 Part sport boat, part cuddy cabin, and part fish boat, the new Barracuda 238 OCR Off Center Console Runabout is pure excitement. The innovative combination of unparalleled luxury, uncompromising style, and unmatched performance, blend together to create one of the most unique sport utility boats on the market. Boasting features of a true fish boat, amenities of a cuddy cabin, and the space utilization of a deck boat, the 238 OCR clearly defines a new niche in the sport fish boat market. From the first sight of the artfully sculpted bow flare, to the equally inviting cockpit arrangement, the 238 OCR never ceases to excite the eye. And the 238 OCR tickles the other senses just as well. 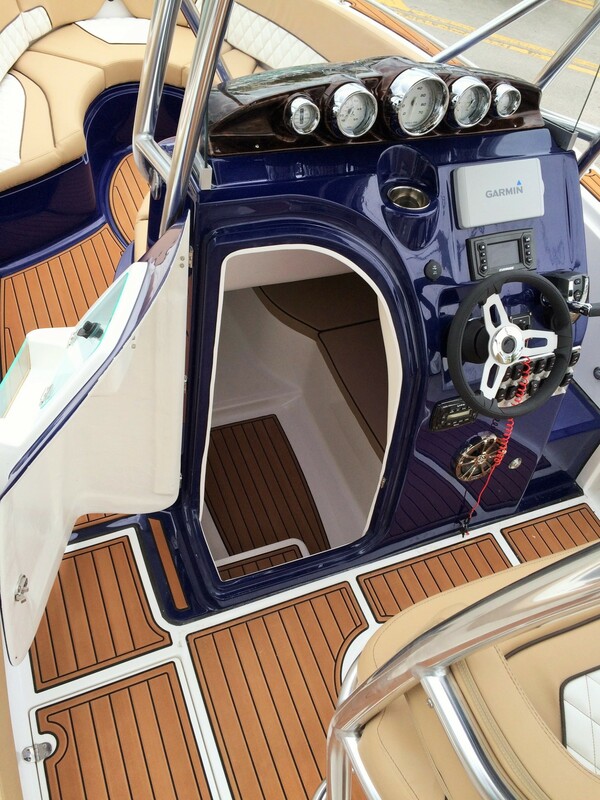 The practical cockpit is perfectly suited for the avid angler, with an innovative helm that features full Glass windshield, full Gauge Array Sport Pod, and room for a full size Navigation screen. 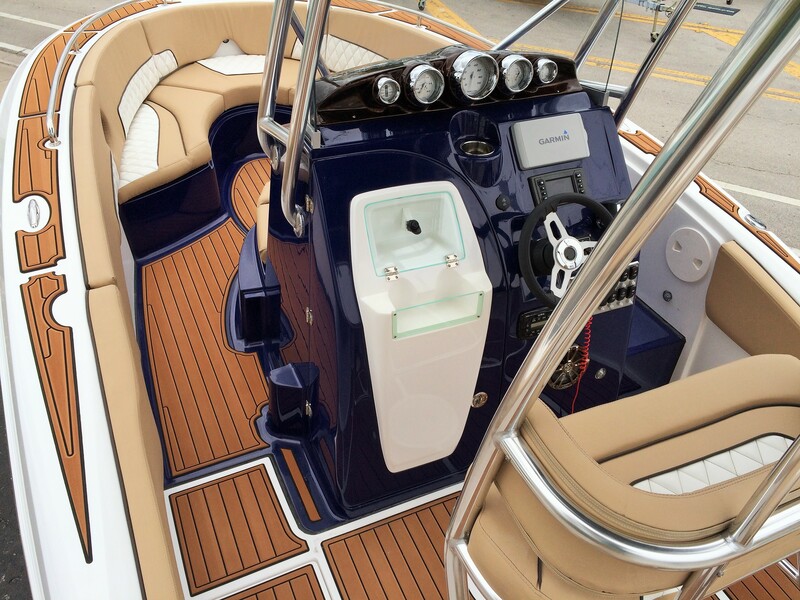 The bow is especially innovative, with Club Seating that surpasses any competitor in luxury, comfort, and safety. The immense bow seating even features an optional table that can drop to make a huge sunbed, or additional bow casting platform for fishing. The 238 OCR’s standard under-deck head compartment with pressurized sink and shower are light years ahead of the competition, and the recessed ¼ berth gives kids and adults a place to hide away for a quick nap. Barracuda’s new 238 OCR packs more space, more innovative features, more luxury, and more performance, than any other boat in its class.